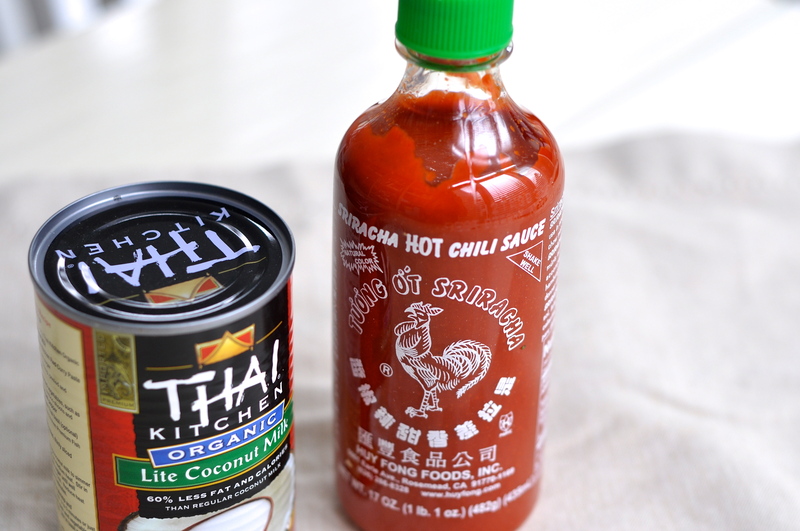 Although my go-to flavor palette is always Mediterranean, this recipe gets me out of my comfort zone to foray into Asian ingredients and culture. 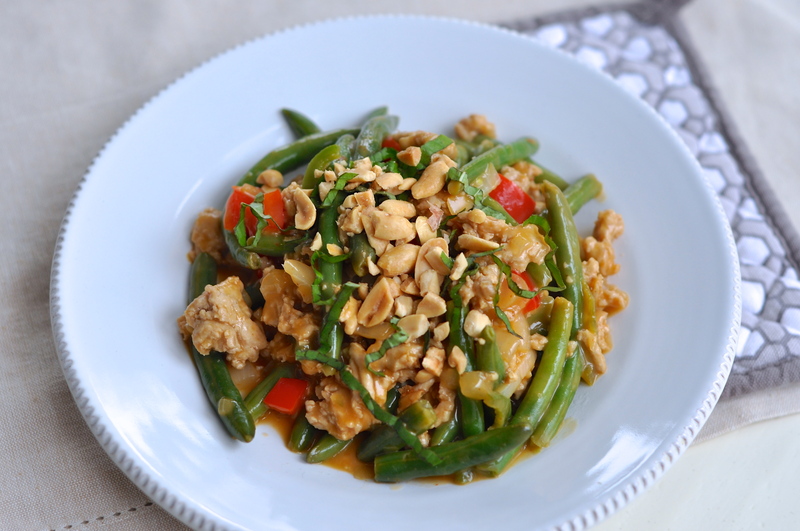 What’s not to like about Thai Basil Chicken? The flavors are bright, acidic and fresh. The aroma of the coconut sauce draws you in. The basil garnish bursts in your mouth, adding just the right complexity to keep things interesting. Not enough to entice yet? Well, how about this. It’s a one pot dish that comes together lickity split, perfect for week night dinners. 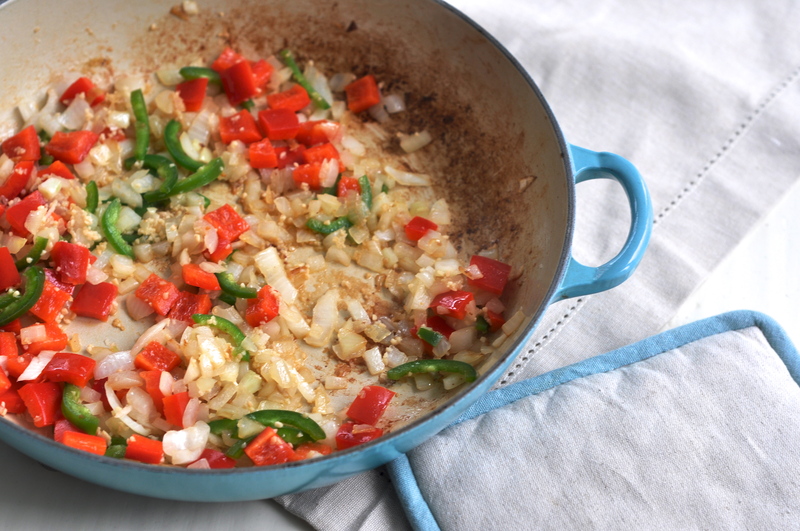 This dish is perfect served stand alone, but also is delightful when served over hot rice. 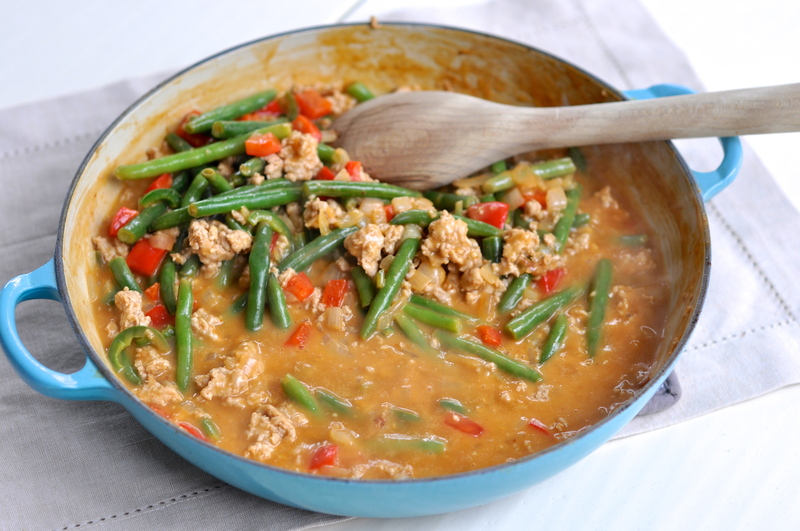 Cook frozen green beans until just done, rinse with cold water and set aside. 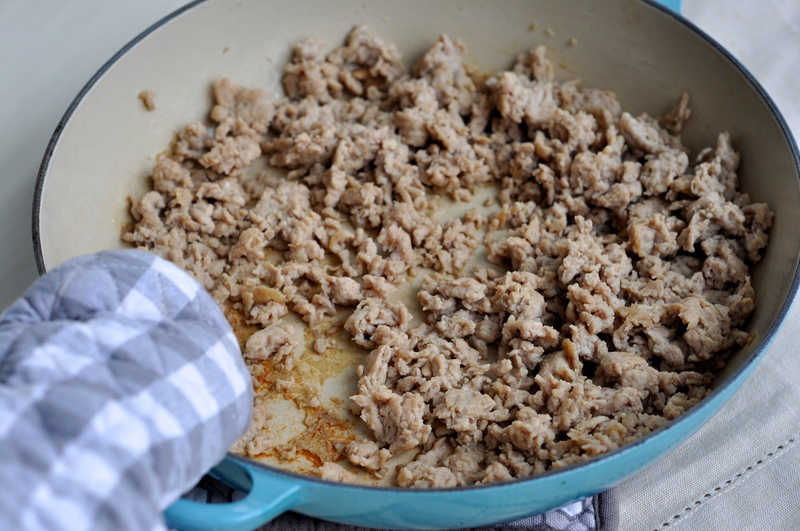 Saute chicken in Olive Oil until no longer pink, remove from pan and set aside. Salt to taste. In same pan, saute onion, garlic, jalapeño and red peppers for 3-4 minutes. Salt to taste. 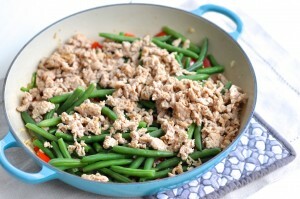 Add chicken and green beans back to pan. 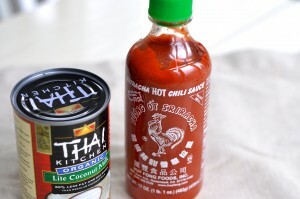 For slurry mixture combine coconut milk, chicken broth, lime juice, soy sauce and sriracha sauce together. Measure corn starch into a different bowl. 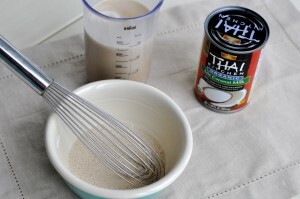 Gradually whisk coconut milk mixture into cornstarch, making sure there are no lumps. Over medium heat, pour coconut slurry mixture over chicken mixture. Continue stirring until sauce forms and it is bubbling and thick. Garnish with basil and peanuts. I’ve missed your delicious posts! So glad you’re back! This looks delicious and so easy, Cathy! I’m glad you’re back! Hope we can find time to get the four of us together soon…it’s been too long!